After I was recently accused of being a “Democrat down to my toes,” my daughter bought me the socks in the picture above. And while it’s true that I call myself a “pro-life Democrat” in my Twitter bio, the reality is somewhat more complicated. My earliest political memory is going door-to-door with my mother handing out George McGovern flyers in 1972 when I was five years old. I knew that he was a Democrat and we were too. Next up was Watergate, and the graffiti on the wall of the unfinished part of the shopping mall in our neighborhood demanding “IMPEACH NIXON!” What more proof did I need that voting Democrat was the way to go? Since all my family were Democrats it was a rude surprise to me to be the only nine-year-old who raised a hand in support of Jimmy Carter in our classroom election in 1976. That was my first introduction to the fact that most people in East Tennessee were not on the same page as me politically. All this seems to be pointing to someone who has voted the Democratic ticket her whole life, right? But if that’s what you were thinking, you’d be wrong. I turned 18 in 1985, so I had to wait a long time to cast my first vote. Longer than you’d expect, because I was in college in 1988, and didn’t send off for my absentee ballot in time. I would have voted for Dukakis without a second thought, in fact without any thought at all, because I was a Democrat and if you are a Democrat you vote for the party’s nominee, right? A lot changed in four years. I cast my first Presidential vote for a REPUBLICAN. I remember how clear things seemed to me in 1992. 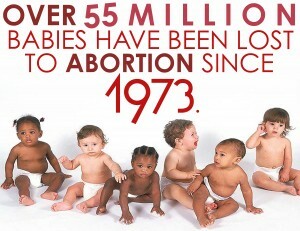 Abortion was the gravest possible evil and George H.W. Bush was pro-life. What other issue could compare? By 1996 I was having second thoughts about single issue voting. I couldn’t see that my pro-life vote had made any difference–Roe v. Wade still stood. Clinton and Gore held to a pro-choice position, I never thought they were that enthusiastic about it. And I agreed with them on just about every other issue. So I was 29 years old before I ever voted for a Democrat for President! I voted for Gore in 2000, and that was the last time. I’ve written elsewhere the whole ugly story of 2004. I may well have voted for Kerry, not especially enthusiastically, because of the Iraq war, but I was nine months’ pregnant and bed-bound. By 2008 my conscience was pricking me. I didn’t think it was WRONG to vote for a pro-choice candidate, but it felt wrong for ME. I just couldn’t bring myself to do it, but neither could I bring myself to vote Republican (mind you, I wasn’t actively TERRIFIED of the Republican nominee–I just didn’t like his positions!). So I went to the polls, voted in the local races, and didn’t vote for President at all. I wanted Obama to win, I wanted our country to have its first black President, but I just couldn’t bring myself to vote for him. In 2012 I felt even more strongly that I couldn’t vote for Obama, whose enthusiastic pro-choice views, cavalier disregard for religious freedom issues, and fondness for drone strikes turned me off even as I continued to like him personally. Yet neither could I bring myself to pull the lever for Romney, whose pro-life commitment seemed lukewarm and whose positions left me cold. That time I chose to vote None of the Above as a way of registering my dissatisfaction with the choices presented to me. So what does any of this mean? Am I a Democrat? A Republican? An Independent? Does it matter? I have been known to refer to myself as a pro-life Democrat but that’s really just kind of a shortcut. Most people know more or less what the two halves of that label stand for, so they can get a good idea of my beliefs in most areas if I call myself that. And there really is an organization called Democrats for Life, but I haven’t signed up just yet. Tennessee has open primaries, and I like voting in the Republican one because that’s where my vote can have more impact. I have attended Republican political events and felt acutely uncomfortable at the cheerleading for positions I find reprehensible; I have a feeling I’d have a similar reaction to some topics that would come up at a Democratic rally. I certainly don’t see myself donating money to the DNC or being a card-carrying party member. Anyway, I hope you can see why it infuriates me to be told that I am a Democrat down to my toes, looking for any excuse to vote for a Democrat, when I attempt to explain why it’s not a mortal sin for a Catholic to vote for a pro-choice candidate. Twelve years ago, dismayed at all the misunderstandings and hatefulness I was seeing among Catholics over the Presidential election, I decided to write a column about it for the East Tennessee Catholic. I thought I could dispel those misunderstandings and the hatefulness would cease. Boy, was I wrong, wrong, wrong. I was on bed rest (Lorelei was born just after Election Day) when the reactions to that well-intentioned column started coming in, but if I hadn’t been I might have taken to my bed anyway. And if I had seen where we we’d find ourselves twelve years down the road, I might have never gotten up again. Already today I’ve received tweets hashtagged hypocrite, babykiller, and cafeteriaCatholic. It’s just another day in an election season during which I’ve been unfriended by an actual family member, deemed excommunicated by the friend of a friend, and attacked in a public Facebook post by someone I thought was a friend, all because I shared political articles that they didn’t agree with. Rarely do I say anything about what my friends post on their own Facebook walls–with the rare exception being to offer a Snopes link to correct a blatant untruth. I have never unfriended someone because I disagreed with their views. I welcome respectful discussion and try to learn from others and to at least understand why they believe what they do. I’m a bad Catholic, of course. I fall short on an hourly basis. But I’m NOT a cafeteria Catholic. Ask anyone who knows me and pore over every word I’ve written and try to find an example of any time I have EVER dissented from Church teaching. You’ll need more than good luck and a magnifying glass because you won’t find anything. The friend who attacked me on Facebook accused me of being a “Democrat down to my toes.” I’ll write more about party affiliation another time, perhaps, but what I am down to my toes is CATHOLIC. That’s my core, that’s my worldview, and EVERYTHING I believe and the way I try to live my life–including my political life–springs from that. Unless all your Facebook friends think exactly like you, your newsfeed is probably like mine right now–completely polarized on the issue of admitting Syrian refugees to the United States. On one side are those who believe that terrorists will take advantage of the situation to sneak into the country to do us harm. On the other are those who believe we have a moral responsibility to welcome the stranger. Some of the first group are racists who think all Muslims are terrorists; most feel bad for the refugees but are sincerely concerned about the safety of themselves and their loved ones. Some of the second group are motivated by Christian beliefs, others by their sense of what this country is supposed to stand for. Both groups demonize the other. Both groups are afraid–one of the consequences to our country if we admit the refugees, the other of the consequences if we don’t. Both groups seem increasingly desperate in their attempts to convince each other that they are right, posting and reposting poorly-sourced and slanted news articles and judgmental memes. I fell prey to this temptation myself the other day when I posted a meme involving the comparison of the refugees to the Holy Family seeking shelter in Bethlehem, and casting doubts on the true Christianity of those who would turn them away. While 40 of my friends “liked” this post, many others, lacking a “dislike” option, shared their feelings in the comments. In the end, I realized that posting something like this might make me feel good for a minute or two, but it doesn’t convince those who disagree with my position to change their minds. Lesson learned, since then I’ve gone back to trying to be informative rather than judgmental and I’ve done a lot of reflecting on what this crisis is doing to our country and to our relationships with each other. If the goal of terrorism is to create fear, then we are all letting the terrorists win. If half of us are so afraid of terror attacks that we are ready to ignore our responsibility as Christians, human beings, and yes, American patriots to welcome the stranger, the terrorists are winning. If the other half of us are letting this disagreement divide our nation, if we are demonizing our friends, neighbors, and relatives instead of trying to alleviate their fears, the terrorists are winning. Lorelei has a great picture book called The Monster Who Grew Small. Are we going to let the fear of What-Might-Happen destroy our country from within? Even if you take issue with calling America a Christian nation, there’s no denying that the majority of Americans say that they are Christians. Aren’t Christians supposed to believe that God is in control? Dear friends, since God so loved us, we also ought to love one another. . . There is no fear in love. But perfect love drives out fear, because fear has to do with punishment. The one who fears is not made perfect in love. . . If anyone says, “I love God,” yet hates his brother, he is a liar. For anyone who does not love his brother, whom he has seen, cannot love God, whom he has not seen. And he has given us this command: Whoever loves God must also love his brother. What might happen if we embraced love–both of our fellow Americans who disagree with us and of refugees–instead of fear? Like everyone, I was horrified by the terrorist attacks in Paris last week, for which the Islamic State is claiming responsibility. When things like this happen, the Internet predictably divides itself into camps. I’m part of the camp that doesn’t want to see innocent Muslims demonized and discriminated against because of the actions of a minority of violent people who claim to honor the same prophet. When the Ku Klux Klan burn a cross in a black family’s yard, prominent Christians aren’t required to explain how these aren’t really Christian acts. Most people already realize that the KKK doesn’t represent Christian teachings. That’s what I and other Muslims long for—the day when these terrorists praising the Prophet Muhammad or Allah’s name as they debase their actual teachings are instantly recognized as thugs disguising themselves as Muslims. I did not realize at the time that this was a recycled article that was written in response to the Charlie Hebdo attacks earlier this year, attacks that are believed to have been orchestrated by Al Quaeda, a group whose aims, methods, and ideology are quite different from those of ISIS. While my original intent in posting the article–to highlight the fallacy of tarring all Muslims with a terrorist brush–is still valid, my posting it became a learning opportunity for me. A Facebook friend who is career military took issue (politely) with the article, and posted a link to another article that I have found tremendously enlightening. I knew very little about the Islamic State before reading it, and now I feel that I have a much better understanding. I am grateful that he took the time to read my post and to share his perspective with me. We can gather that their state rejects peace as a matter of principle; that it hungers for genocide; that its religious views make it constitutionally incapable of certain types of change, even if that change might ensure its survival; and that it considers itself a harbinger of—and headline player in—the imminent end of the world. . . . The reality is that the Islamic State is Islamic. Very Islamic. Yes, it has attracted psychopaths and adventure seekers, drawn largely from the disaffected populations of the Middle East and Europe. But the religion preached by its most ardent followers derives from coherent and even learned interpretations of Islam. . . .
Muslims can reject the Islamic State; nearly all do. But pretending that it isn’t actually a religious, millenarian group, with theology that must be understood to be combatted, has already led the United States to underestimate it and back foolish schemes to counter it. I myself have no problem distinguishing between the Islamic State and the vast majority of Muslims who are peaceful and law-abiding citizens of the countries they inhabit, any more than I have a problem distinguishing the vast majority of Christians from various crazy fringe groups who spout hate-filled rhetoric Jesus would never endorse. We can acknowledge the religious motivations of the Islamic State without accusing our Muslim friends and neighbors of being terrorists. There is no need to follow the example of the candidates at the second Democratic debate, who were all reluctant to talk of Radical Islam and tried to minimize the role religion may have played in the recent attacks in Paris. To ignore the ideology of the Islamic State is perilous. We must know the enemy to defeat it. And we shouldn’t be afraid to challenge one another on whatever assumptions we make, and to listen to and learn from one another. In this house, we LOVE election season (except sometimes on Facebook!). We had a great time watching the first GOP debate last month (definitely the most entertaining debate I’ve ever seen) and then talking about it afterwards. If you had asked me earlier this year, though, I would not have expected William (a 14-year-old 8th grader) to be glued to the screen along with John, Emily, and me. It’s true that our big kids were interested in watching debates at his age, but I wouldn’t have thought William would sacrifice two or three hours of precious time that could have been spent researching one of his many obsessions about which he wishes to acquire ALL THE KNOWLEDGE to watch a debate. As it turns out, though, he did watch the entire first debate, and had plenty of intelligent insights and opinions about the participants. We all enjoyed talking it over and mostly agreed on who we thought did well. Agreement on matters political is not taken for granted in this house, where the parents have opposing views on some issues and the kids have been raised to think critically and to form their own opinions, so it was interesting that we reached such similar conclusions. So William was bitten by the bug, and he has added Donald Trump and his antics to his list of topics he researches. For the past month he has watched videos about the Donald and has kept all of us updated on what he has learned (most recently being my source of intel about Mr. Trump’s Twitter exchanges with the Mexican drug lord who is on the lam). William was so excited about watching last night’s debate that he did his homework WHILE IT WAS STILL DAYLIGHT, without complaining, so that he would not miss any of it. That debate was really, really long, y’all. Too long. But we stuck it out, although we were too tired to hash it all over for too long afterwards. Once again, William had opinions. But there were a lot of people up there, and he wasn’t clear on all their names. When he started reeling off his thoughts accompanied by his own unique descriptors, I knew I had to run for my notebook so I could record them for you all to hear. 11. He couldn’t even remember this one by the end–I wonder what that says about his chances? Leave me a comment if you think you can guess who is who. 😉 And tell me, do your kids watch the debates? Do you talk to them about politics? Do you get upset if they don’t agree with your political views? We were a little late getting signed up for Obamacare when it launched, so this month marks our one year anniversary–one full year of being insured! I know that “anecdotes don’t equal data.” I also know that UNBIASED data I’ve read on the success of Obamacare has been largely positive. But right or wrong, anecdotes are what people listen to and remember. That’s why I’ve been sharing my family’s experiences–both negative and positive–with my readers. That’s a lot of money, but it’s $41,521.91 less than we would have paid if we DIDN’T have insurance. Actually, what would have happened is we would have gone without care. We wouldn’t have had the tools to improve our health the way we have this year (more on this in my next update post). Jake would have been left with a non-functioning finger after his accident. We would have tried to do without medications that were less essential. If you’ve always had insurance you may not realize another huge plus: ACCESS. If you don’t have insurance, you are expected to pay for services up front, except in the emergency room (which is why the uninsured–and I’ve been there–head for the emergency room for primary care). With my magic BCBST card, I can go to the doctor and pay later. We still owe money for Jake’s surgery. But he GOT THE SURGERY. The only thing we had to pay in advance was about $150 to the surgery center. Furthermore, you will pay MORE for those services because without insurance you lose the special negotiated rate, which basically halves the out-of-pocket costs. I’ve been honest in my reporting so you already know that our experience has not been completely positive. To recap, part of the family was not originally covered. Although that was rectified in August, I still have not gotten a satisfactory response on the appeal I filed, which was your basic bureaucratic comedy of errors. At this point I am probably letting it go, as the benefits really don’t outweigh the PITA factor. The website itself is just terrible and while it may not crash as often as it did in the beginning, there are still plenty of problems with it. On the bright side, the customer service is excellent. They will do whatever you need right on the phone, and they are kind, pleasant, knowledgeable, understanding, and efficient. As someone who has spent literally hours at a time on the phone with TennCare representatives, I appreciate that. Finally, as seems to be true for many people, our premium went up at the beginning of the year. WAY up. It’s $200 more this year, and while it is way less than what we would pay (and couldn’t!) without the subsidy, it is still a stretch. Many blame the rise in premiums on the ACA; I blame it on the greed of the insurance companies and think the solution is a single-payer plan, which I hope we finally get some day. You have until February 15, 2015 to apply for your own plan! It can’t hurt to take a look. Maybe you will get lucky–and healthy–like we did. Twenty-seven years ago (ACK!! ), I moved into my first apartment at Georgetown with three classmates. It was like playing house–walking to Safeway to buy groceries, making Quick Corn Light Bread from my mother’s recipe, using the carpet sweeper, fighting over whose turn it was to buy toilet paper, throwing dinner parties. We had so much fun. And of course it seems like it all happened yesterday. But here’s what ACTUALLY happened yesterday: yesterday morning, I received a Facebook message from one of my former housemates. She was coming to Knoxville to speak at the University and wondered if I’d have time to get together. Sometimes spontaneous fun is the best kind. We didn’t have much time to plan, but we made it happen. John and I went to her event, and then we went out to eat and drink and reminisce. I had not seen Crystal in almost twenty years, when she met us at a friend’s home in Northern Virginia for a couple of hours. My last visual memory was of her sitting on the sofa with my two kids crawling all over her. And honestly I was a little nervous about seeing her again. Because you can never be sure what it will be like to be with someone you haven’t known in so long. And I was also nervous about attending her speech. You see, Crystal Wright is kind of famous! She writes a popular blog, she makes regular appearances on television, and she has over 36,000 Twitter followers! She was at UT to talk to the Issues Committee about race and the Republican party, and especially about her own experiences of being a Conservative black woman. Now y’all have figured out by now that I’m not a Republican, right? I’ve read some of Crystal’s tweets and I’ve disagreed with a lot of what I read. Crystal was always a person of strong opinions. but we just didn’t do a whole lot of talking about politics in Village B 88 back in the day. We were too busy watching Moonlighting, doing aerobics to the Jane Fonda cassette, and licking spilled champagne off the kitchen counter because who would want it to go to waste? So I’d been a little surprised by Crystal’s vehement views and wondered if our differences would affect our friendship. I shouldn’t have worried. I actually enjoyed listening to the talk, especially when the kids asked questions afterwards. (Crystal told us at dinner that she was very impressed by the intelligence of the UT students she met!) She talked a lot about the failure of the GOP to engage minorities and what they should do to change that. She explained the genesis of her own political beliefs. She gave me some new ideas to think about. Crystal lives in D.C. and when we go there in May for the Georgetown Reunion we are going to go hang out on her deck and drink wine and talk some more. Maybe I will bring a bottle of peach Riunite so we can relive one of our college adventures. I wanted to share a picture of us back in the day but y’all know what happened to my pictures. This one is the clearest one I have–Crystal is on top, with me at the bottom and Renee in between. Christine, the fourth housemate, must have been taking the picture! But as I look at the photograph of one happy moment in time, with rainbow swirls and smudges around the edges, imperfections and distortions, I realize the fire turned the picture into a metaphor. If you’re on Facebook you can’t escape knowing that today’s the 40th anniversary of Roe v. Wade. If you have a diverse group of Facebook friends like I do you’ll have seen a bewildering array of contradictory posts, some commemorating the day as a tragedy, others as a triumph. Well, I’m assuming by now you know how I view this anniversary. And I’m here to speak for the women, who, like me, don’t think the unlimited right to abortion is something to celebrate, and who are tired of hearing that “reproductive rights” is the number one women’s issue. For want of a better way to describe myself, I’ll say I am a pro-life Democrat. I’m intelligent and well-educated, not a religious fanatic or a “right wing nut-job.” And I don’t call abortion a women’s issue–I call it a civil rights issue. Which means that it should be of concern to EVERYONE, not just women. It’s a constant source of amazement (and distress) to me that people who agree with me about almost EVERYTHING else–attachment parenting, gun control, social programs, all that “bleeding heart liberal” stuff–part ways when it comes to protecting the unborn, the most helpless and voiceless of all. The last few days before Election Day, my Facebook newsfeed was jammed with posts and memes indicating how tired everyone was of the campaign. One little girl was famously moved to tears over the whole thing, and I think I know how she felt. Constant negativity IS tiring. It’s soul-sucking. Most of us have made the decision to leave it behind, to draw on that renowned American optimism, and move on. It’s sad that some people can’t let go. I missed Tim Russert terribly on Election Night. I tweeted about it and several others did as well. Tom Brokaw’s appearances on NBC were the highlight of the night for me, a memory of the glory days of network news, but I still missed the back and forth between the two of them. And I’d take Tim and his whiteboard over all the smart boards in the world. Of course Tim was brilliant but there are still plenty of intelligent commentators out there. What I think we all responded to and miss terribly now is his enthusiasm–his JOY. He loved politics, he loved what he was doing, and he communicated that. He made politics fun. This election season was not much fun. It’s not much fun when people you think of as friends say hateful things on your wall, when they say that anyone who votes for one candidate is an idiot and anyone who votes for the other is going straight to hell. Sure, the election of a President is a serious business, not a game, but it’s not supposed to be a take-no-prisoners war, either. President Obama and Governor Romney have shown us the way. They are leading by example, and it’s s good example. Shall we follow their lead? Now that is all kinds of wrong for all kinds of reasons. Number one, it’s factually inaccurate and intellectually lazy: Mr. Obama supports legal abortion; he does not kill anyone. Number two, no five year old needs to know anything about abortion or baby-killing of ANY kind. Let’s preserve their innocence as long as we can. And then there is number three, the subject of this post: no five-year-old came up with that language independently. Someone they trusted and respected, most likely a parent, TOLD them that. Which means that their parents have introduced inaccurate, inflammatory information into their innocent intellects in the interest of indoctrination. And that’s not how I believe we need to be talking to kids about politics. I don’t believe in indoctrinating children. (Some of you are probably laughing because you know I am raising my kids Catholic and certainly that implies indoctrination–but moral and religious indoctrination is another story and we can argue about that another time!) What I like to do is to present kids with a variety of ideas, answer their questions, see what they come up with, and correct any misinformation. So when the subject of the death penalty, or abortion, or any other controversial issue has come up, I’ve explained it to my kids in the most neutral way I can. Then I wait for their reaction. Most recently it has been William, age 11, learning about these things. “But that’s ridiculous,” he said of the death penalty. “That’s horrible. That doesn’t make any sense. You can’t DO that.” Even when I agree with his reaction, I offer him some of the reasons that other people disagree. I don’t want parrots. I want thoughtful critical thinkers. My kids are–at least I think they are–extraordinarily lucky to have been raised in a home where 1) the adults don’t always agree about politics, and 2) the adults love to discuss politics. John majored in International Politics at Georgetown and is passionately interested and well-informed. I love nothing more than analytical conversations and arguments. But there has never been any danger that my kids are going to go off to school and parrot their parents’ opinions, because we don’t walk in lockstep here. We encourage them to come up with and defend their own opinions. And now that three of the kids are more or less grown up, they don’t always agree with either of us. We’ve got one kid identifying as Republican (not a Romney fan, though) and two who lean Democrat (of the pro-life type) but refuse to identify with any party. Then there are the little ones. Several weeks ago William announced that he did not like Mitt Romney because “he doesn’t care about poor people.” I assure you, he did not hear that around here. We just don’t make over the top statements like that and we call our kids on them when they do make them, so that I told him I was sure Mr. Romney cared about poor people but that different candidates have different ideas about how to help them. I felt it was only right for balance to tell him some of President Obama’s drawbacks as well. William learned about abortion only a few months ago, even though he has been participating in Marches for Life since he sat in a stroller. He’s an oblivious sort and I was happy not to have to explain it to him. So when I told him that President Obama was pro-choice, he decided he could not support either candidate. Lorelei does not know what abortion is and I have no intention of telling her any time soon. Seven is too young–too young, really, to understand most political issues. But she did sit and watch part of the debates with us until she fell asleep, and she was excited to cast a vote today in the mock election at school–for President Obama. “Why?” I asked her. “I just like him,” she said. “Well, that’s fine. It’s your choice,” I told her. She looked so dejected coming out of school today, where predictably Mr. Romney carried the day with over 80% of the vote. She perked up, though, when she got to come help me vote after school. I read an article earlier today suggesting that we shouldn’t share our political views with our children at all until they are old enough to understand them. I don’t agree. I believe we can share in an age-appropriate way. When Lorelei asked me how I decided on my vote, I was vague: “There are things I don’t like about either candidate, that make me feel I cannot support either one.” I remember many years ago a friend of mine commented that she was surprised that we talked about politics with our kids. Politics are important. If we don’t talk to our kids about them, if all we do is say things like: “We are Democrats in this house,” or “Obama kills babies,” we are raising people who do not know how to think for themselves. Remember, the kids who parrot you now will grow up to parrot some idiot, if you haven’t taught them to think critically. If it’s important for you for your kids to think like you do, then educate them. Tell them WHY (if you know) you think the way you do. For us, having kids who think like us isn’t the goal. The goal is having kids who THINK.